Helping teenagers choose a career has always been the hardest part of teaching and parenting. Do you see a spark in your children with good debating and negotiating skills? In the present generation, the ability to present the facts and negotiate is a winning combination. Public Speaking and debating skills are a great asset to a high school student. MUN provides a perfect platform to develop the skills and check if politics and public service could be a career option. 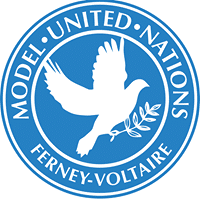 Model United Nations, also known as Model UN or MUN, is an activity that encourages students to participate in international relations and diplomacy by simulating the United Nation and its debates. Usually, this is organized in schools or even as an extra-curricular activity. MUN clubs provide an excellent opportunity for the youth to actively engage in solving current contemporary issues, whilst learning how to respect and understand different points of view. This diversity is what makes the MUN environment so interesting and so very important for young people; it brings about awareness, and being aware of the problems happening around us is, in fact, the first step towards solving them. Some may wonder what students can achieve by participating in MUN. Most importantly, it is the sense of awareness, of wanting to find solutions to problems that could one day affect us all directly. The popularity of MUN continues to grow, with more than 400 000 middle schools, high school and college/university students participating on a worldwide level every year; that reflects the willingness of youth to learn and understand the mechanics of our contemporary society. Through this common pattern of promoting the values of the United Nations, we can hope to achieve, one day, global peace and equality. We at Abbey Language Travel are keen on bridging the gap between debating and learning about diplomacy, international relations, and the United Nations. Our agency has been approached to find high school students to represent Australia and New Zealand in FerMUN Geneva Jan 2019. 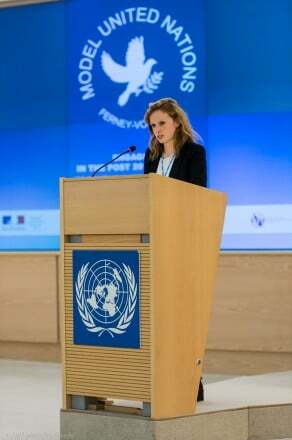 The FerMUN is a “mock” United Nations conference for high school students, hosted in the United Nations building in Geneva. The recommendations from the annual 3-day FerMUN are tabled with the main UN board. We are looking for your top year 10 – 12 candidates representing the school. Individual students can also participate. Like the UN, FerMUN is a bilingual conference (English, French). It is highly desirable for candidates to speak French, although not absolutely necessary since translators/interpreters are available (also high school students). We have also negotiated with a Lycée organising the conference for an exchange + billeting to enrich the overall experience as well as to provide some support as a new nation entering FerMUN. We have taken the opportunity to put together a 2-week French & Diplomacy itinerary around FeMUN in Geneva Jan 2019. We will be finalizing the schools and the participants soon. Reach out to us with Subject: FerMUN 2019 at enquiries@abbeylanguagetravel.com to book you (for students) or your school (for teachers) and don’t miss out on this once in a lifetime opportunity. We have a small group of amazing individual students from Australia traveling to Geneva to participate in the World Model United Nations – FerMUN 2018 conference. They have been busy preparing and raring to go. They have been allocated a country to represent – Mexico and committees to work on related to Intellectual Property Issues, the main topic at the conference. In addition to all the hard work, they will also have a lot of fun visiting the Alps, visiting a chocolate museum, they even get to taste! Watch this space for more updates on their meetings and photos from their tour!